The internet was all abuzz today over newly-declassified tape of Apollo 10 astronauts catching a broadcast of alien music on the Moon. Except the tape was not classified, not alien, and not music. Settle in and take a listen for yourself. We tracked down and clipped out the relevant portion of the original audio for you right here. The minute and a half of tape features pilot Gene Cernan imitating a whistling sound coming in over his radio for his crewmates, before they move on to the truly important issue: Would any of the other astronauts like some grape juice, because Commander Tom Stafford is going to make some and he is definitely not going to do it twice. So it’s neither alien nor music, but what about the claim that this (secret! confidential! spooky!) footage has been hidden away for the past several decades, perhaps in some secret government lair? 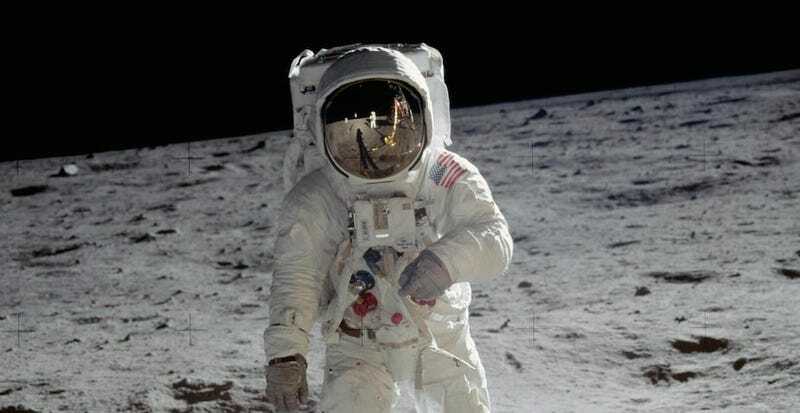 The recordings remained relatively unnoticed through the decades until two days ago, when—in perhaps the most mysterious moment in the footage’s history—Science Channel made them the cornerstone in a marketing campaign for its new series, NASA’s Unexplained Files.